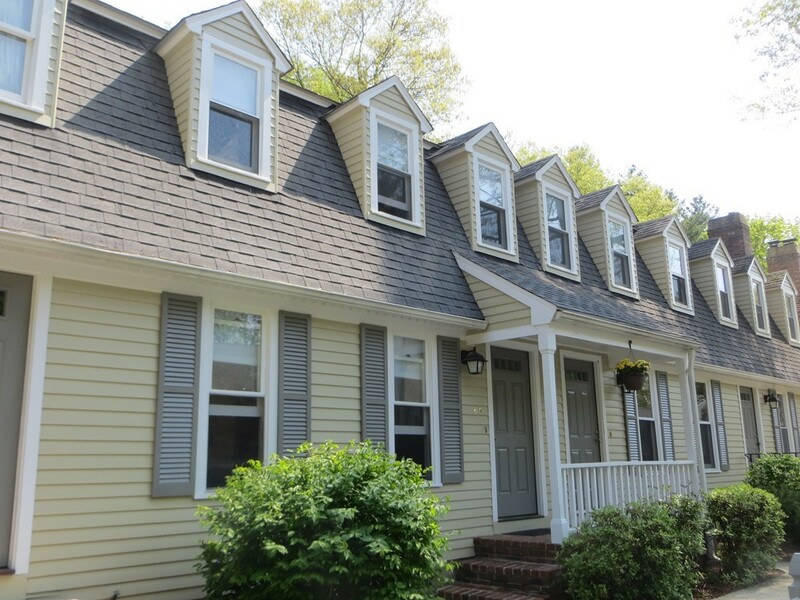 Gambrel style unit with rare front porch! Great for when you are bringing in your groceries in the rain and snow. Living room, dining room, kitchen and both baths have great new flooring. Quality finished lower level with walk out. Kitchen boasts Cherry kitchen cabinets and all appliances convey!! Great location within the complex, close to guest parking and one of two pools. Come see what this great complex has to offer!! Walk jog trails along the Lovely Merrimack River. Chelmsford's Bruce Freeman Rail Trail nearby if you want to go for a nice bike ride!! This unit is not in a flood zone! !